It’s not even February, and 2013 has already exhausted me to the quick. As someone who doesn’t particularly put much stock in new year’s resolutions, I seem to have started the year with perhaps too many endeavors. Did I really have to sign up for the New York half marathon this year? Do I really need to take a course on microeconomics on Coursera? To top it all off, I have been traveling to and from Rhode Island for work on an almost bi-weekly basis. Coincidentally, my Rhode Island destination is a town over from N.’s hometown. Between Christmas and work, I’ve been getting a crash course on life in the Ocean State. Don’t worry, though; this blog isn’t suddenly going to pick up and move north any time soon. But, if it were, there are certainly some consolations to be had, such as The Chocolate Delicacy, a husband and wife-owned chocolate shop that has been doing business for over twenty years in picturesque, quaint downtown East Greenwich, Rhode Island. 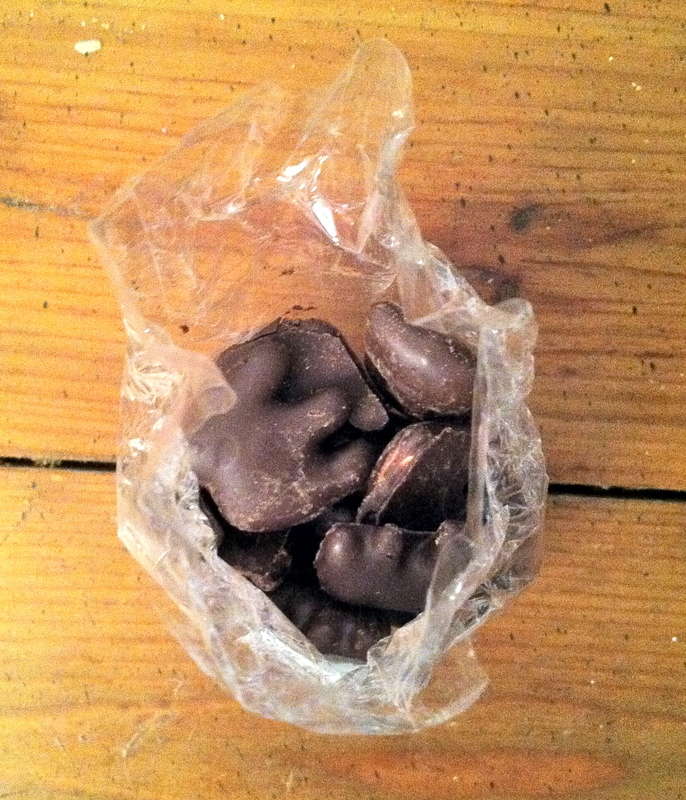 On my last trip, I stopped in and happened across something wonderfully novel and completely addictive: dark chocolate covered animal crackers.